Airi Suzuki, who had such a great support she has been called "the Idol admired by other Idols" as a member of °C-ute (who disbanded last year in June) and Buono!, is finally making her long-awaited comeback with the album "Do me a favor" on June 6th. We've talked with her about this product she was involved in fully, as well as her first time writing lyrics, for so long that it exceeded the scheduled time we had. ■When did you start preparing this album? After °C-ute's disband, we (°C-ute) all went to Hawai as a "graduation trip" and I started right when we came back. ■Did you decide to become a solo singer before the disband? I had this "one day I wanna come back to that stage" feeling, but to be honest I hesitated for a while. ■You hesitated about doing it alone? I thought that - especially since I love to sing and dance, if I wouldn't be able to overcome the work I've done in 15 years as a Hello! Project member, it would be better if I stopped. So at first, I thought about quitting, and I thought about a lot of other paths not involving singing, but I wasn't confident about that. In my heart, I really wanted to continue. So when we had this meeting discussing our future, I was told by the staff "Won't Suzuki sing and dance?" ; so I put everything I wanted to do in a document and I did a presentation. ■You did a document by yourself? Yes (laugh) With informations like "I want to do this type of lives" and such. Because I wanted them to listen to my preferences and such from the beginning. It took time, but they listened to my wishes, and now I'm doing my activities in a very happy environment. ■So, your activities from now on will be focused on singing and dancing? That's right. The only catchphrase that was given to me in my 23 years of living was "The Idol admired by other idols" and I thought it wouldn't be right to throw it away. The theme was "affirming all of the sides I had as an Idol, while keeping this 'singing & dancing' style from °C-ute, and also that 'band-like' style from Buono! ", to brush it up and start again. Because I was often told "You don't have a strong personality". ■I don't think that's right though. No but really, I've been told this all the time. Things like "Airi-chan is just average on everything". ■Words like that really hurts right? Right, it shows that I don't have any particular talent. It was good as an Idol, because it's multi-work, but even before I started as a solo singer I was told "It'd seems pretty difficult for you to stand alone", and I thought "That time has come at last". But I'm a very positive person, so I thought "Isn't that my identity?". That I cannot really decide what my true color is, or rather, that I'm full of colors! (t/n she means that she can do multiple things instead of being the same always). I thought "Let's make 'chameleon' the hidden theme" (laughs) That's why I decided to release an album as my debut work, with a lot of various songs inside. ■That's why there are both dance-song and band-songs in your album. Did you pick up the title "Do me a favor" as a literal meaning? Yes. Because I've worked 15 years in this industry, I wanted to tell my fans "please continue to support me from now on". And also, to the people who don't know me, I wanted to share that feeling: "I have a small favor to ask you, but could you listen to this?". ■Did you have other ideas? ■I thought it came from the song you've written, "#DMAF". Actually the name of the album was decided before the title of the song. I couldn't really decide of a title for that song. I wrote it for the fans, and any title I thought of giving had such a light feeling to it... I really hesitated but I didn't have a title track yet, and reading more into it, I thought it "Do me a favor" could mean "Doumo, Arigatou, Fan no Minna" (t/n Thank you everyone (fans)). ■So that's what it means! I thought about it later though (laughs) Also the "F" can mean "Family" and "Friends". And as I also wrote it thinking about °C-ute members I wanted to include "Friends" in it. So with that feeling, I decided of such a title. ■It was your first time writing lyrics right? Right. I'm usually a pretty hyper person, but after °C-ute's disband, there was a period where I felt really down and thought about a lot of things like I wondered if I wasn't being forgotten by everyone, I also started to compare myself to others... And I've wrote these sad thoughts on my blog, and all of the fans wrote very positive comments like "Don't rush yourself and come back in your own way". At that time I deeply thought "Thank you" from the bottom of my heart. But there wasn't any handshake, nor events, so there wasn't a moment I would be able to tell them. ■Wouldn't it be good to write it on your blog? I thought it wouldn't be as deep if I was just writing it. I'm pretty bad at conveying feelings through writing. And when I thought about what to do, I thought the only way was to deliver that feeling through a song, so I wrote it grouping the notes I wrote when I was really down, the notes I wrote when I felt better, and also the ones when I felt simply good. It took a lot of time and it was very difficult. ■So it's a song filled with personal feelings. It is! I also wrote some episodes of the handshake with fans during the first part of the second verse. ■The part that says "I'm embarrassed in front of you / I cannot get to be the real me". Yes. But I also picked words that, if somebody who doesn't know these episodes listen to the song, would make them think about their loved ones. Also, I wrote the last part thinking of a spotlight that was always shining the same way before becoming an unfamiliar light. ■"I'll keep chasing these unfamiliar lights / I've decided not to look back". Yes. I wanted to convey that feeling of "I won't look back" about °C-ute. When I made the members listen to that song, the leader (Maimi Yajima) said she was feeling the same way. So, I thought it would be great if one day, the members sings my songs at their own events. Another dream to realize! ■"Muttering 'I don't think that'd be right" / Sorry to have made you worried". Are you talking about the blog entries you mentionned earlier? That's right. That's also a message to my family. I was really down. Like I wanted to sit in a corner of a room forever. The lyrics of "#DMAF" are all of the memos I wrote at 2am at night in the corner of a room, that I've changed in a positive way. These are things I could only wrote at that time. ■Thinking like that, it's sort of good that you've felt so down. Yes! If I didn't feel so down that time, I would just be a super positive person (laughs) It's because I've felt so down that the positive feelings are sparkling greatly, like, that I can really understand how everything's good now. ■They are only deep episodes conveyed in that album. So many that I'm lacking time to talk about everything (laughs) I really took a lot of time to make it. I also did the songs selection by myself, also I was able to pick the people I wanted for my lyrics. Also by best friend from high school is now a professional dancer and I asked her to create every choreographies from my dance songs. It was the first time we seriously talked about working together. We're always like "Yayyyyy!!" (laughs) But, when I called her and said "I have something to ask you", she accepted pleasantly. I really like her dance style, but it's very difficult, her pace is awesome. But it felt like a new wind was blowing inside me, it's difficult but fun! Aoi Yamazaki who's my university senpai also created the song "Kimi no sukina hito". I was really able to strengthen my relationships with people through this album, so I'm really grateful. ■You're also very picky about the production. I participated in every single meeting. About my official website and the goods also. ■You couldn't do that as a member of °C-ute or Buono!? Yes. It was more like receiving something and think about a way to make it your own. I think the further we participated in was making the setlist of some concerts? But this time, I was there for the recordings of the instruments, from the mix to the trackdown. I was very happy. After the recordings with Shinjiro Inoue-san, we went to eat gyoza with everyone, it was really fun. Yes. Also, with AKIRA-san, we've talked about the song I performed for my audition 15 years ago. BoA's "Kimochi wo Tsutawaru". He said "I did the arrangement, and added the chorus on that song". I was so surprised! What kind of jump into the past is that?! It's not as a memorial to that song or anything but, AKIRA-san also added the chorus to "perfect timing". It really moves me! ■Seems like "perfect timing"'s lyrics are a collaboration work between AKIRA-san and you, how was it? The lyrics became very adult-like but, during the meeting, I was asked "Won't you try writing the lyrics?". But writing lyrics to dance-like songs is a very difficult task. I was helped a lot by AKIRA-san, and he arranged it in a way to keep the feeling I wanted to give to that song. I'm a girl full of imagination but, the theme of that song is "A boy who definitely lives with concealed lighting!". He has a cool face but he likes his room dark or red or purple, living in a house full of ambient lighting, like dracula. It's a song about a popular guy who lives everyday thinking "That girl will never hate me anyway". But I've decided to get away from him! And that's only at that same moment that he shows me his annoying, fragile side. So I added that ironic meaning of "perfect timing" like "great timing to show that". ■You can get this type of idea from your daily life? ■So that's your second time writing lyrics? For lyrics that I can publish, yes (laughs) But I tried not to correct me that much, and emphasize this straight way of telling things. So it's pretty childish. Even the staff told me "That's not something you'll be writing 3 years from now". ■Do you have other materials for songs like this one? I made sure to leave various memos from my time as °C-ute. There are feelings you can only feel as a high-school student, and they're pretty embarrassing to read now, but as I have fans who are students, I think that would be great to make them feel my songs. Even now, there are a lot of fragments of songs like only a chorus, or rust melodies, or things that I've wrote at Aoi Yamazaki's house that I still have ; and I'd like to shape them properly in the future. ■So you've been keeping those even before becoming a solo artist. To become a singer song-writer was my dream, even before becoming an Idol. I only attended highschool and university because I thought that one day, it I had to become a solo artist, I would need these "normal girl" experiences to express feelings properly. ■You've been thinking that much! ■Wouldn't it have been great to have a part-time job after the disband? ■About "Mikansei Girl". The lyrics were written by Yuho Iwasato, but they're talking about you right? When we met, she told me "How do you feel now?" and was writing notes as I talked. Then, she created "Mikansei Girl" and "Candy Box". She understood me so well, I can sing these songs as my own words. We've worked together since Buono! and I love her universe, so I would like to work with her again. ■"I have to take a detour / I may not be able to find it" lyrics are really powerful. I met Iwasato-san when I was starting to feel really down. I wonder if she draw that conflicted me through the lyrics. I heard it as a support message from her and I received a lot of positivity from it. ■In the choruse there's a phrase that says "It's okay if I'm full of worry". Did you worry a lot about your solo activities? Now, there isn't any. But when we had this talk, the future seemed a bit vague to me. I was full of worries and anxiety. But now I'm such in a happy environment, I can only think "I have to go forward now! I can't wait!!". I'm really happy every day. ■It's great to think in such a positive way. ■"STORY" is with SCANDAL, and "Hikari no Hou he" a collaboration with Akai Kouen. Was it all your own wishes? It was! I'm often going to eat out with SCANDAL's RINA and Akai Kouen's Maisa TSUNO; so I asked them during these occasions. Especially RINA-chan, we've met a lot during my sad times, so even we talked about a lot of things even before deciding she would write lyrics for me. ■Knowing that, the meaning of the lyrics are pretty understandable. The path the old me created, and the path I'll take from now on, I want to walk along with the fans I love so much. It's becoming Airi's story. These are great lyrics. I also went to eat with Tsuno-san and she gave me great advices such as artists to listen to. She told me that my voice evolved a lot since the time she provided songs for Buono!. In "Hikari no Hou he", she wanted me to show a lot of sides of me, thus it became such as song. It was really fun to sing and it made me think about a lot of things. A lot of feelings are involved. ■Your singing style is pretty different for that particular song. It was all Tsuno-san's wishes. I sang the last chorus after dashing. ■You ran during your recording? Yep. She told me "Please run". So I had to sing it while heavy breathing. I learned that making the perfect recording isn't always the right thing. ■It's the first time I hear somebody having to sing being out of breath. But it was pretty hard, I couldn't get to be out of breath. I think that's why! So I had to run for awhile. ■There is a hidden episode for every single song, but according to you, what kind of album is "Do me a favor"? ■What kind of live is it going to be? 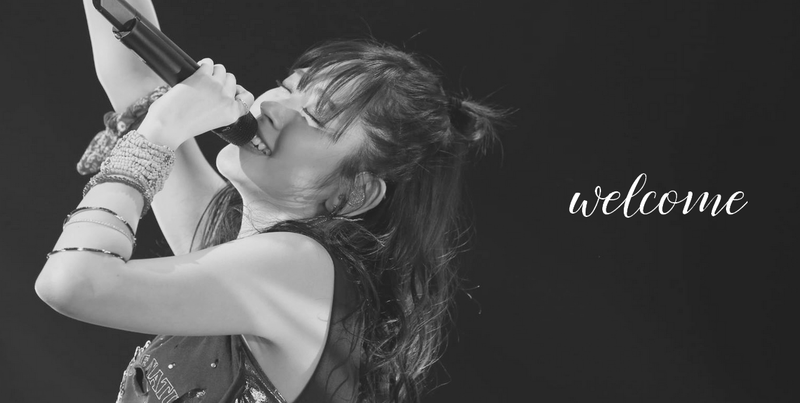 I want to make a live that express "This everything is Airi Suzuki's style from now on!". I would be glad if a lot of people came to see me! Also I want people to think "Seeing Airi makes me feel happy!". I'm a 15 years experienced newcomer, and I'm counting on your support!